There is no doubting that gaming today is riddled with DLC. Gamers are expected to cough up if they want any additional content such as new campaigns, new characters, cosmetic items, and so on. What about gore though? If we were to make it the same way as the foreign version, it’d be rated CERO Z (18 and up) and we felt that it’d be best to release it the way the creators make it. However, that would limit the sales and advertising, so we’d lose the opportunity to reach out to as many customers possible. I can understand that, creators wanting their game to get as much exposure as possible, thus improving sales and such, but where is the logic in giving the same content to consumers anyway, just in the form of DLC? The simple answer, there used to be a rule which prevented CERO D (17 and up) games having access to CERO Z rated DLC. 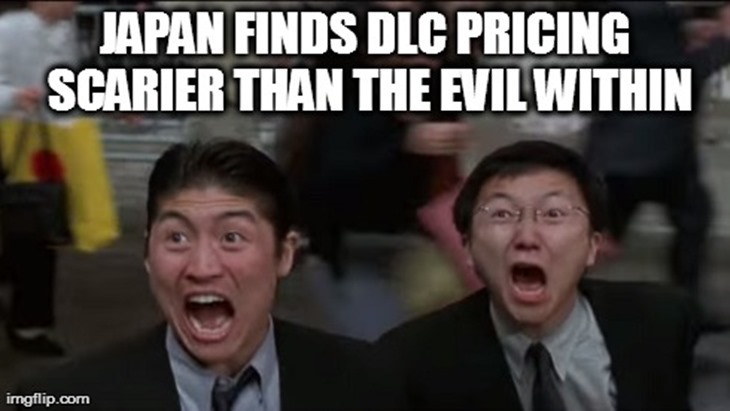 That rule is now null, meaning that although The Evil Within will be served to Japanese gamers in its censored form, gamers will have access to the gory content irrelevant of its higher age restriction by means of the DLC. Its a clever little exploit actually. I just hope they don’t board the money train, charging excessively for something that should be in the core game anyways.